What language would you like to be fully immersed in?. However, whenever anyone follows that up by asking me to explain those things in depth, my mind swims. ASL is HUGE and AMAZING and really really IMPORTANT! But, how to sum that up in just a few words, and as an outsider who is a hearing person just beginning to sign? To begin, storytelling and poetry are one of the gems of ASL culture. Learning some ASL history brought my viewing experience from a level of "hey, this looks cool" to "OH! Whoa! People used to be isolated and abused for openly using ASL in the past. ASL poetry and storytelling isn't just something cool. It's a legacy of resistance and celebration." ASL Poetry, Caterpillar by Ian Sanborn. 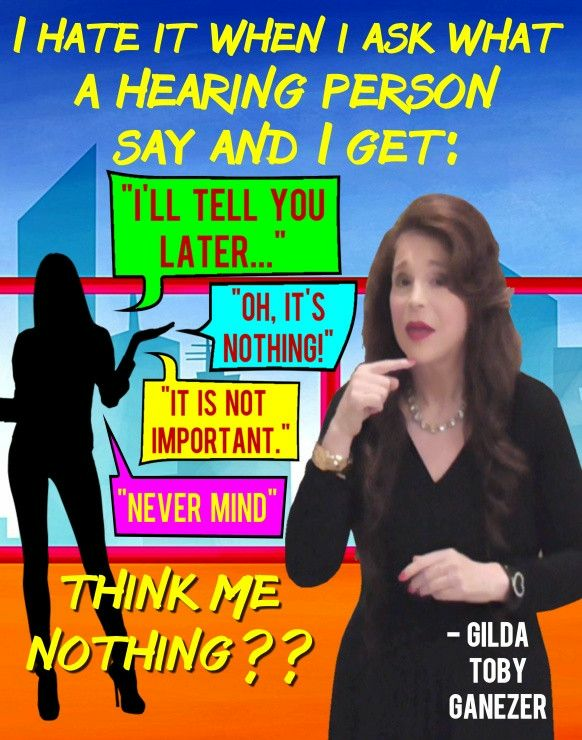 While there are some humorous takes on communication barriers between deaf or hard of hearing (D/hh) individuals and hearing people, see: Communication barriers--some humor, throughout ASL history, hearing people have used audism to justify creating significant barriers for D/hh people with tragic consequences. See for instance, the Oralist movement and the psychological effects it has had on deaf children. In light of all of the pressure to conform to hearing society, for D/hh people to see themselves as broken or less than, a concept called Deaf Gain emerged. 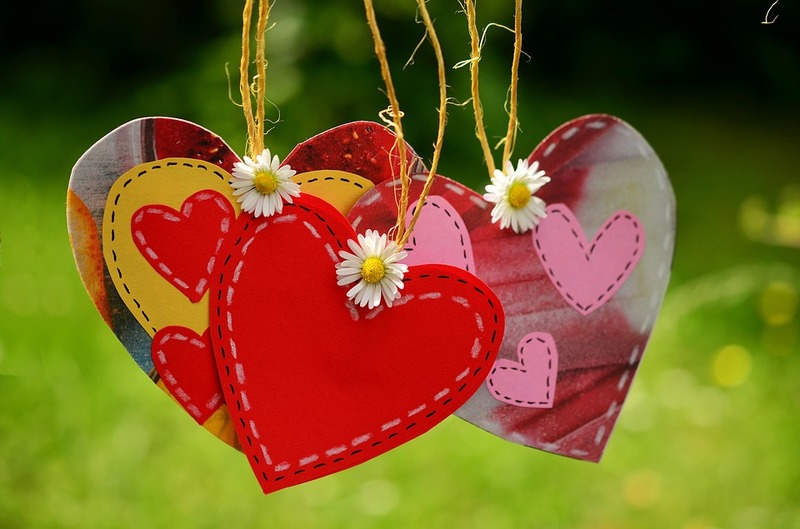 Deaf Gain acknowledges and celebrates the many contributions D/hh people have given to the world and emphasizes that being D/hh is not anything to be ashamed of. On the contrary, it is something to be celebrated. 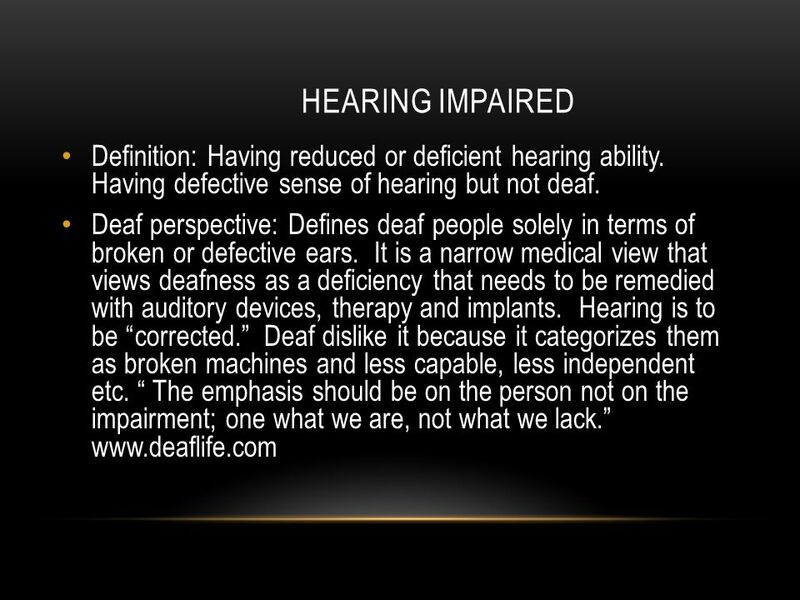 From the perspective of hearing people, if someone is born D/hh, they are born with "hearing loss". From the perspective of Deaf culture, if someone is born D/hh, they are born with "Deaf Gain". Being D/hh is something to be proud of. The concept of Deaf Gain comes with a critical interrogation of deafness and disability. 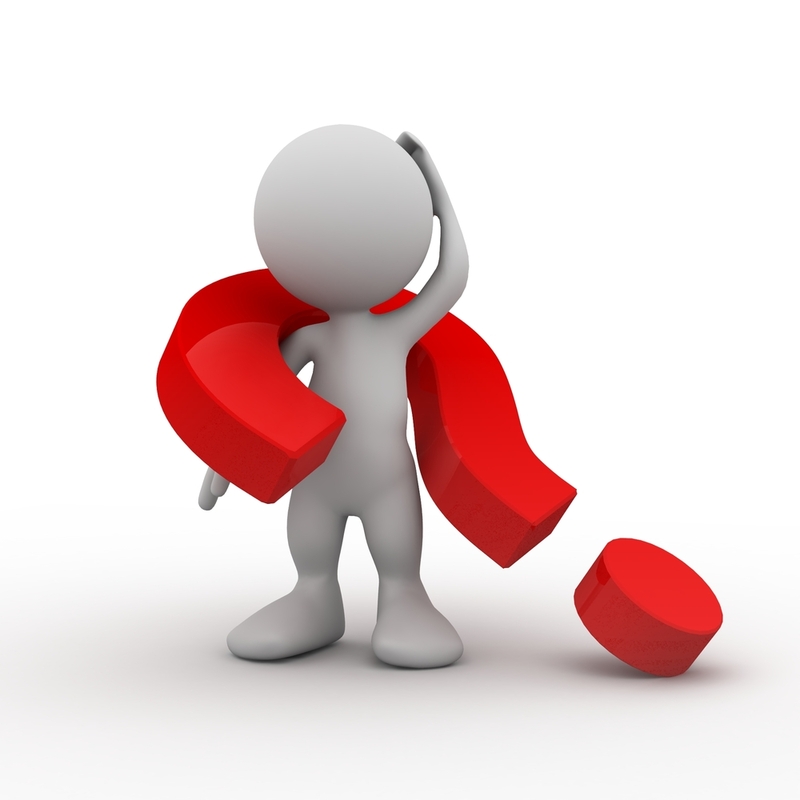 Are deaf people disabled by deafness? 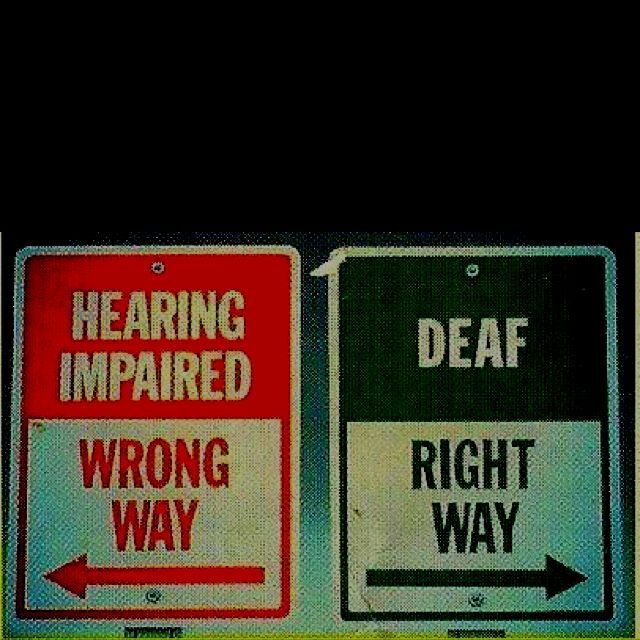 Or, are they disabled by a society that accommodates hearing people more than D/hh people? For instance, most architecture is designed to accommodate hearing people at the expense of D/hh people. 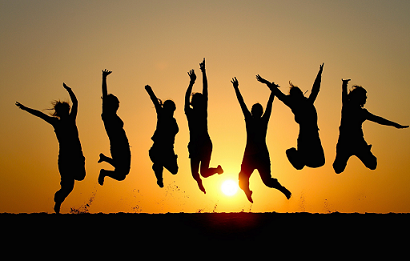 When space is instead designed with D/hh people in mind, D/hh people can more fully participate. Check out the video linked in this discussion for a look at buildings designed for sign language users.. Even more than just the design of a building, , when an entire society is designed in such a way that deaf people are accommodated just as much as hearing people, D/hh people are no longer seen as disabled. For more on that, you can check out The hidden history of Martha's Vineyard Sign Language. While MVSL is not ASL, it is an important part of the history of sign language in the US. Most of what I learned about Martha's Vineyard, and Deaf struggles through a historical lens I learned a year or two ago when I got my hands on a book called, People of the Eye. It does a phenomenal (and far better) job of explaining the cultural and linguistic challenges hearing people have historically created for deaf and hard of hearing people. If you've made your way through everything here, I hope you will have come to understand that American Sign Language isn't just a language. It is culture, history, and for some the access or lack thereof is quite literally the difference between life or death. I hope it has helped to convince you that ASL is HUGE and AMAZING and really really IMPORTANT! And also, I hope you'll take a couple of minutes now to revisit Ian Sanborn's Caterpillar. If anyone is interested in beginning to learn ASL, I highly recommend LifePrint and the corresponding Youtube channel, Bill Vicars. If you are a signer of any level, feel free to join a group of us on Duolingo ASL. Did you know there really are some ASL dog-training signs? Please don't take this as any sort of criticism!! I don't think most Deaf people actually know them - but they do exist. Also, love that you are working with deaf dogs!! 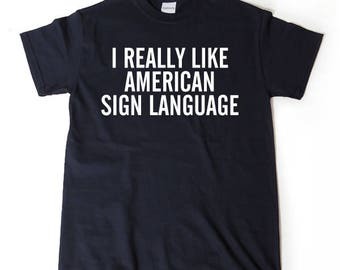 Basically, it just means Deaf people think it's kind of funny that they could be discussing the most vulgar topics or something completely mundane and a hearing person thinks it's beautiful. Like in this cartoon, it's kind of funny that the hearing people think the sign for "poop" is beautiful. A Deaf person would ask, "Poop is beautiful???" itchy feet is the best! The most hated English word in Deaf culture - never mind. Thank you for posting this picture! My friends have discussed how hearing people often exclude them from the conversation by saying those things. Maybe next time something like "It's personal so I'll tell you later" or "I'm running late so I'll tell you later" would work better? The Deaf Community considers the Deaf President Now protests to be one of the most important moments in Deaf history. THANK YOU! Your articles here have shed light on this for many people. 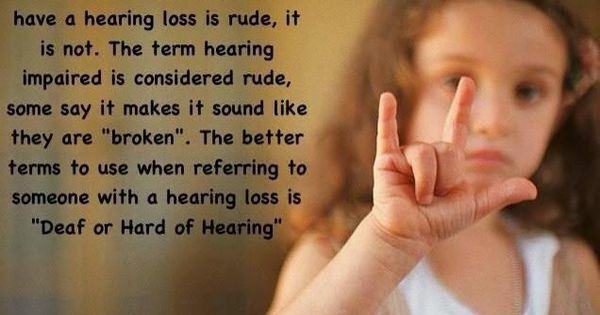 Avoid labeling a Deaf or Hard of Hearing person as "hearing impaired". It's considered very rude and offensive. I really really like ASL!!! I used to know most of it, but now I don't know much of it. Duolingo is great for deaf people! Stranger in a strange land...Groking culture in language.